Aquobex is pleased to announce the newest product in our range of flood resilience measures, the flood resistant door. 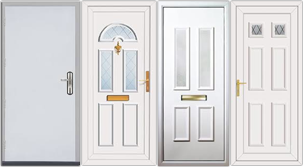 Each door is manufactured specifically to fit the door frame intended to be protected. Aquobex new Flood Resistant Door has been specifically designed to satisfy the Environment Agency Water exclusion and Water inclusion strategy. Conforming to these strategies is absolutely key to ensure the wellbeing of any owner/occupier of a property during a real flood event. Aquobex is always trying to improve the range of products we are able to offer, and after careful consultation with Utility Companies, Local Authorities , the Insurance Industry , the Environment Agency and of course homeowners, we have developed and can now install a bespoke product that does not require installation at the first sign of flood, a product that doesn’t need to be removed once the flood has subsided, a product that works passively to protect your home or property. Designed and manufactured locally, we believe this aesthetically pleasing solution perfectly complements the Aquobex range of products.